Many residents in Independence are paying virtually nothing on energy bills. Independence in Millsboro, Delaware has exceeded $1 million in electric savings for homeowners. 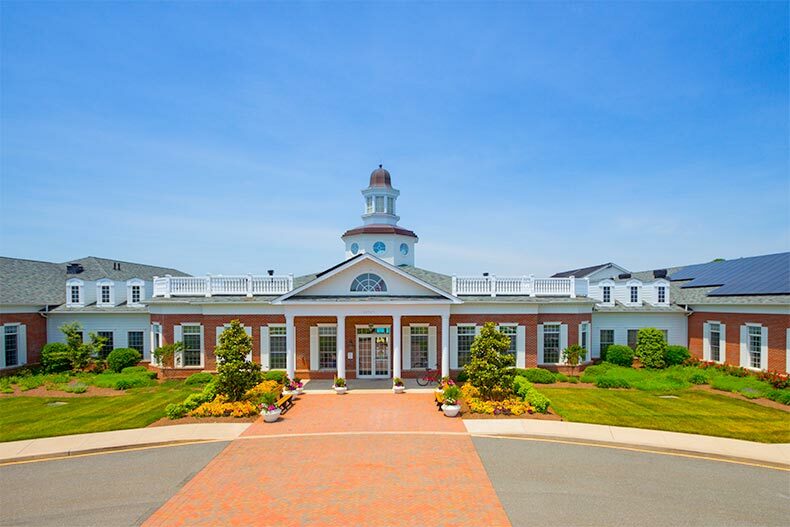 Not far from popular Delaware beaches, Independence is a premier active adult community with 12 models of Energy Star certified single-family homes built by Schell Brothers. The energy-saving designs and solar panels installed by residents have offset more than $1 million in electric bills since the project began. Schell Brothers began building the community of about 450 homes in 2007 with 12 models that range from two bedrooms and two baths to four bedrooms and three-and-a-half bathrooms. While all home models include high-performance windows, owners can choose features and customizations that reduce energy bills, including high-efficiency HVAC systems, geothermal heat pumps, tankless hot water heaters, and upgraded insulation packages. These Energy Star-certified homes are 20 to 30 percent more energy efficient than standard homes, which translates into lower energy bills for residents. 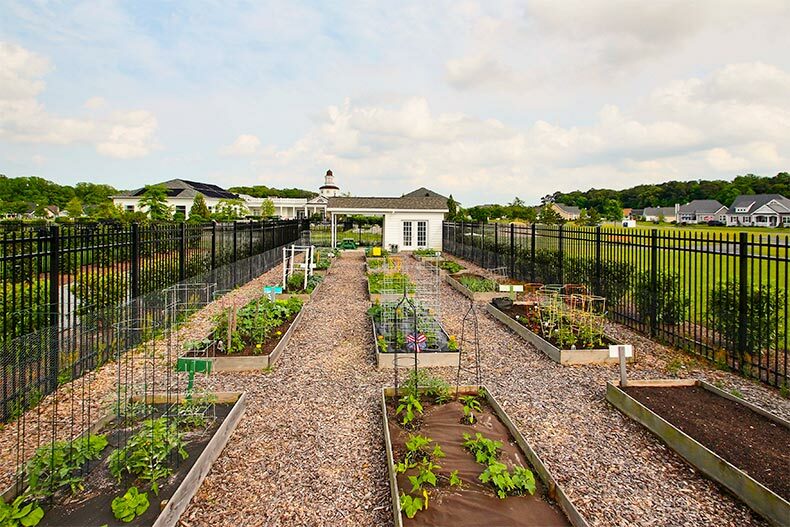 The community garden in Independence is another way the community promotes sustainability. Drive around the Independence community and you’ll start to notice something on the roofs. Almost 40 percent of homes in the active adult community now have solar panels, a green feature that increases energy savings. In fact, Schell Brothers promotes solar, according to the President of the company Chris Schell. “[Solar] takes their already low bill and makes them almost nonexistent,” he says. The panels on the roof turn sunshine into electricity, which is first used for the home and reduces the overall electric bill. If the panels generate more electricity than the house uses, the excess is sent back to the grid for others to use. In Delaware, this means the electricity meter spins backwards and gives the homeowner energy credit in a process called net metering. Since 2008, solar panels on Independence homes have produced 8.7 million kWh of electricity. The cost of solar power is also less than it’s ever been, and solar panels are also more affordable now than they were 10 years ago when the first homes in Independence were built. Solar panels have also been a great choice for Independence homeowners since Delaware residents can decrease the initial cost of their solar panels through tax incentives from the federal government and grants from the Delaware Green Energy Program. “After receiving the tax credit and the state rebates, our system will have paid for itself in five years,” Independence residents Ron and Pat Schaeffer told the Cape Gazette. “Last year we had six months with zero energy costs, in addition to the other months when our bills were really low. We are already on track this year to achieve similar energy savings again,” they add. Solar is also a great choice for residents of active adult communities. The solar panels have a 25-year warranty and require little to no maintenance.